We are adding TWO SATURDAY MATINEE PERFORMANCES! May 13th and May 20th @ 2pm!! 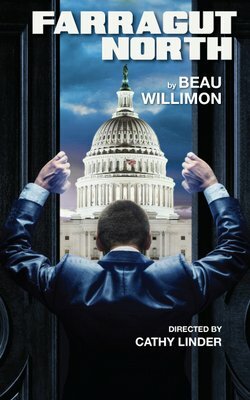 Penned by the creator of the Netflix original series HOUSE OF CARDS, FARRAGUT NORTH comes to the Odyssey Theatre in Los Angeles this April! A taut and plot-twisting story of political, emotional, and sexual intrigue, penned by the creator of Netflix's House of Cards. During a hotly contested presidential primary campaign a wunderkind press secretary, blinded by hubris, makes a wrong turn. After choosing to walk through “that door” his life, and the lives of others, spin out of control. Set against an all too familiar contemporary landscape, the story reveals the human struggle between ideologies and unbridled ambition.